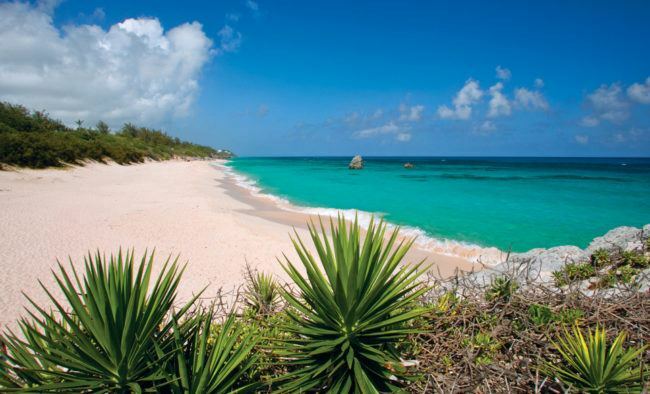 There are 34 official beaches in Bermuda. You can hit one of the most famous, Horseshoe Bay, named one of the Caribbean’s Top 10 Beaches by USA Today (even though Bermuda isn’t technically in the Caribbean), or find a secluded stretch of sand to call your own. Go out with a local who will catch your lobster dinner and have it cooked up the same night! 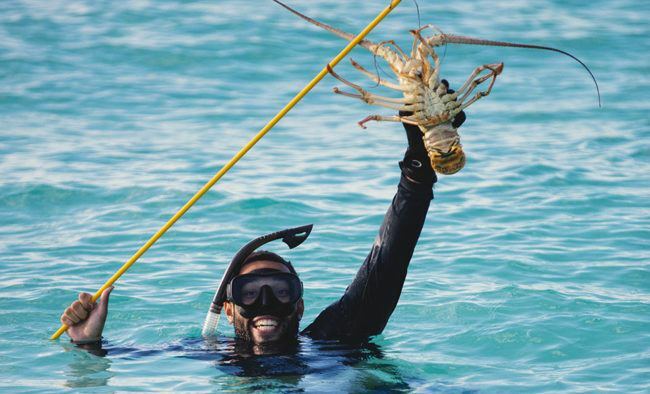 Spiny lobster season just kicked off on September 1st and will run through March. If you aren’t feeling “catch your own meal” adventurous, many of the restaurants have these tasty guys, also called rock lobsters, on the menu. Explore the Great Sound – it’s calm and easy to ride with 60 islands or so. Cruise through Hamilton Harbour past yachts and sailboats on the Straits of Paradise and lookie loo at the homes on Millionaires Row. 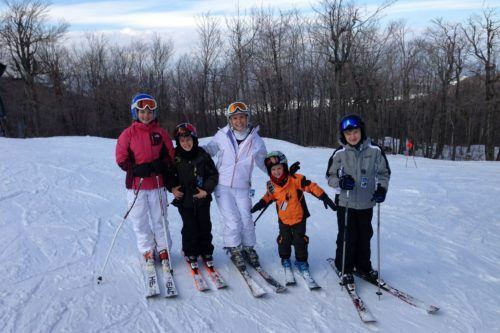 OR, try out your mad ski tricks (see below) and head out for adventures including cliff jumping, snorkeling. Also, check out the Harrington Sound, an inland lake (connected to the Atlantic by a small inlet) surrounded by underwater caves and subterranean passageways. 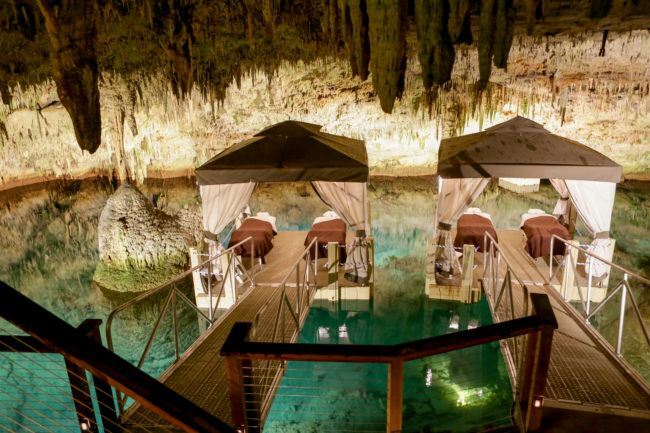 There are a lot of great spas in Bermuda, you can always do a boring old oceanside massage, but why would you when you can be in a mystical cave with nothing but the sound of mineral water dripping from stalactites down to the turquoise lake below you? Bermuda’s 300 subtropical islands really should offer up great surf, but all the reefs and inconsistent winds mean you can’t really count on it. Hungry Bay is the most consistent spot on islands with the highest quality waves arriving during the hurricane season, from August to November (read NOW). 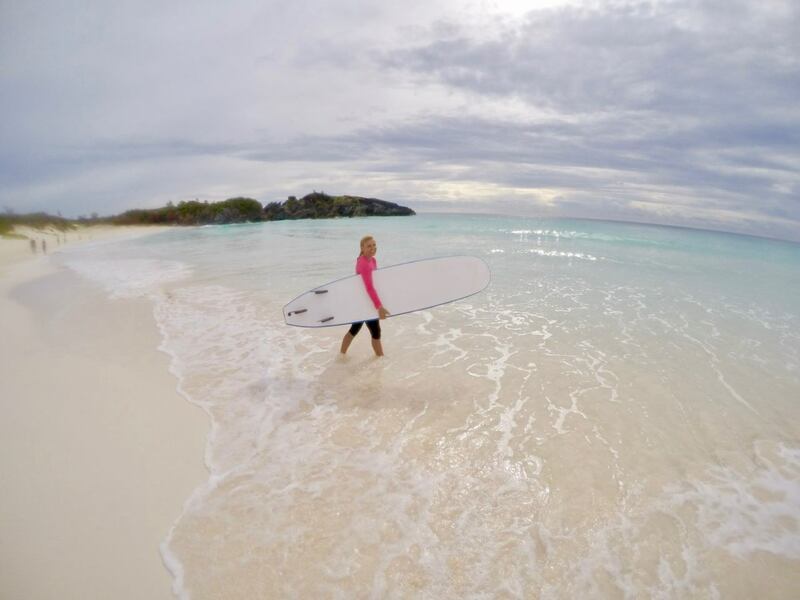 Horseshoe Bay is a great spot for beginners with small rolling waves. Best part? The water is warm! The Gulf Stream warms the islands’ waters with a winter low and a summer high of 66-81°F. 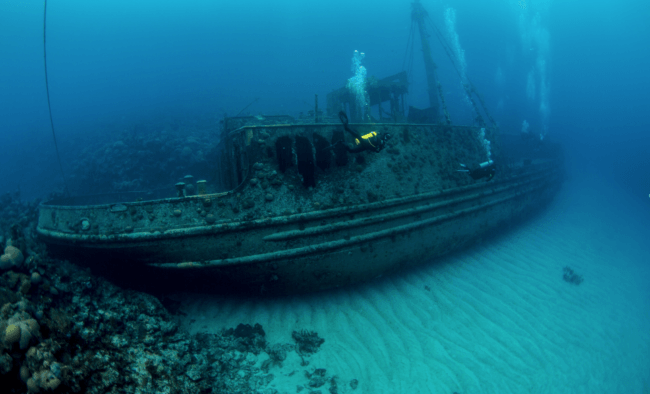 Bermuda has more shipwrecks per square mile than anywhere else in the world. It was once called the “Isle of Devils” for good reason – dangerous reefs around the island have sunk many a ship. Explore more than 300 sunken ships dating from the 1600s to 1997. Then head over to Lili Bermuda and buy a bottle of Mary Celestia, the fragrance was re-created after two intact bottles of perfume were found aboard the Mary Celestia, a Civil War ship that sank off Bermuda in 1864. As a bona fide International Rum Cocktail Competition judge, I feel highly qualified to weigh in on this subject. First, Goslings Rum was born here, the “Black Seal” came about because for a time the rum was sold in reclaimed champagne bottles and sealed with a black wax. 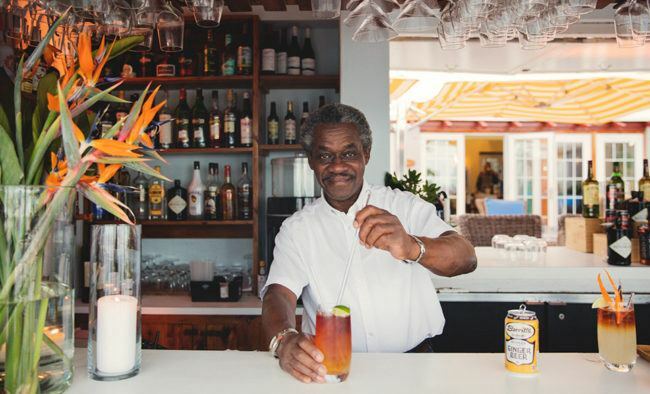 Gosling’s is one of my favorite rums and a key ingredient in Bermuda’s signature cocktail, The Swizzle. The Swizzle Inn lays claim to inventing the cocktail and many visitors stop by to enjoy a final drink before leaving the island. The Rum Swizzle is also the unofficial national drink of Bermuda, they also invented the Dark ‘n Stormy®, but I prefer The Swizzle. Can’t hop on a plane? Make one at home. Mix all ingredients in a pitcher with cracked ice and shake vigorously until frothing head appears. Strain into cocktail glasses. There’s a reason the America’s Cup Sailing Race was held here, it’s paradise for sailors. Charter a sailboat with captain, rent a boat, or board a sightseeing tour or take a sunset party cruise on the Great Sound. 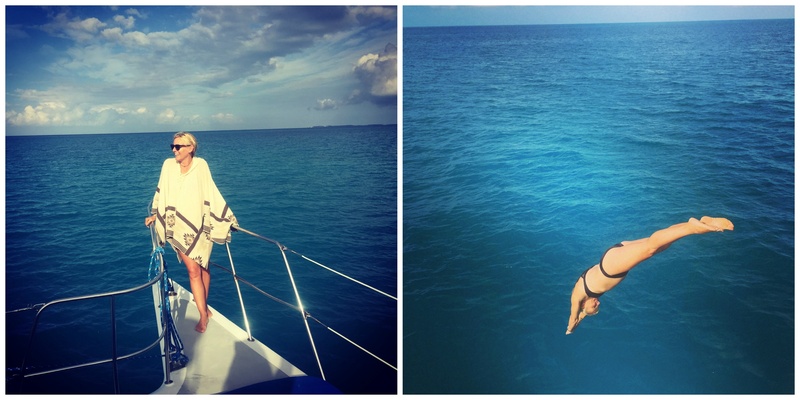 Sailing and diving in Bermuda also makes for great Instagram shots. Not loving the rain where you are? Bermuda is under two hours away if you are flying from New York. The weather in Bermuda is mid 70s to 80s for the months of September and October. If you’re not ready to haul out the flannel and start on your pumpkin spice recipes, book a flight, pack a swimsuit and hit the pink sands. Looking for more reasons? 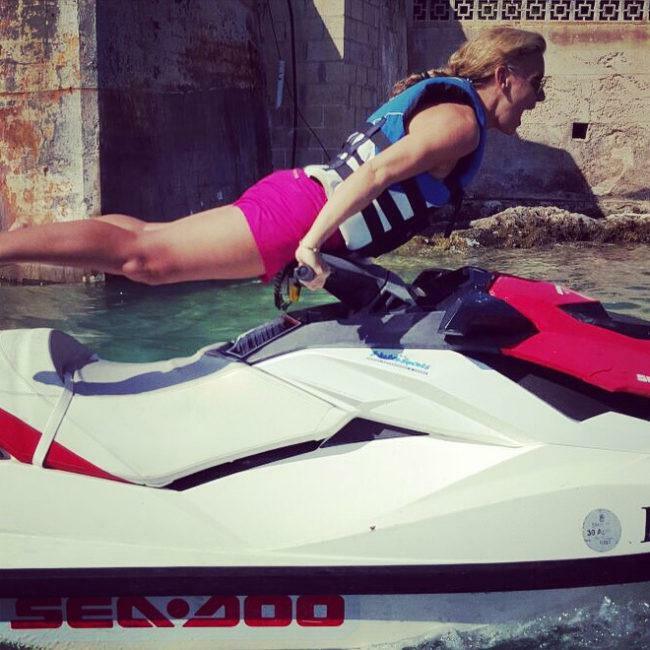 Check out Go To Bermuda for everything you need to know that I didn’t already tell you.